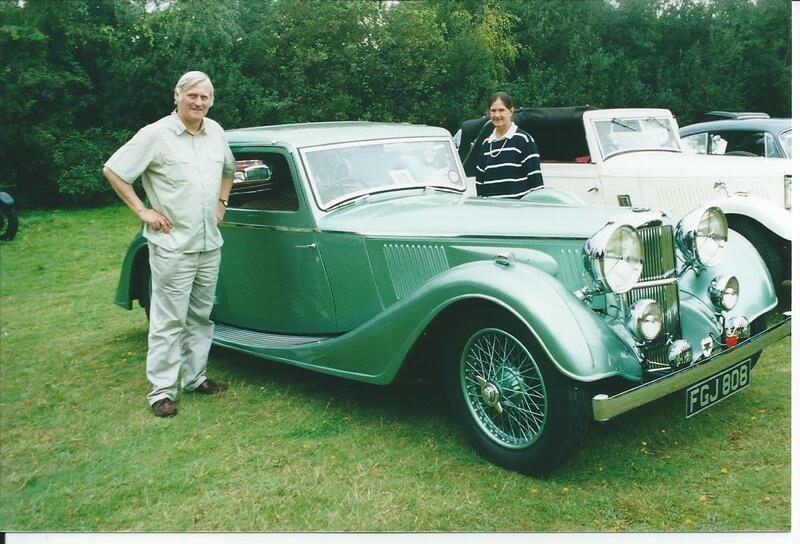 The W O Bentley Memorial Fund has kindly sent some photos of Alvis in their collection including this one. But which one is it? Which car is this – distinctive rear lights – Speed 25 Cross & Ellis and where is it now? 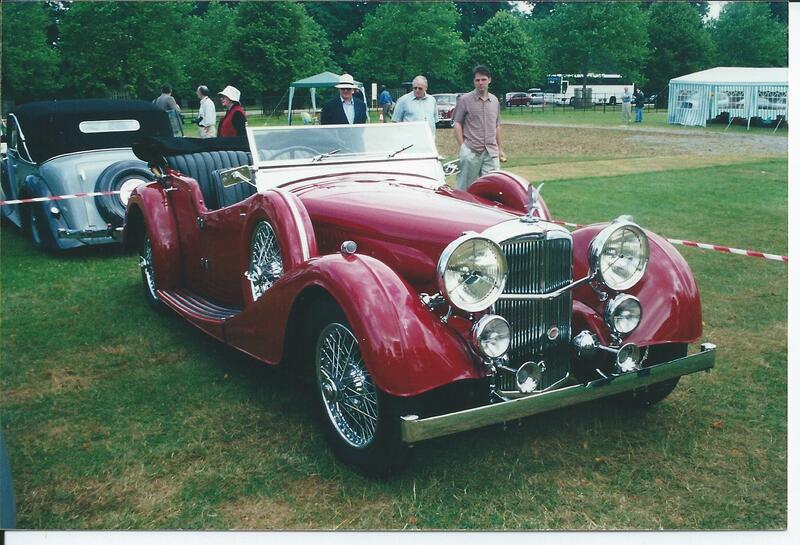 Steve Horne was in contact with the organisers of the Hampton Court Concours of Elegance and reminded that we could nominate a candidate for the Inter-Club Concours on Friday 31st August 2018. 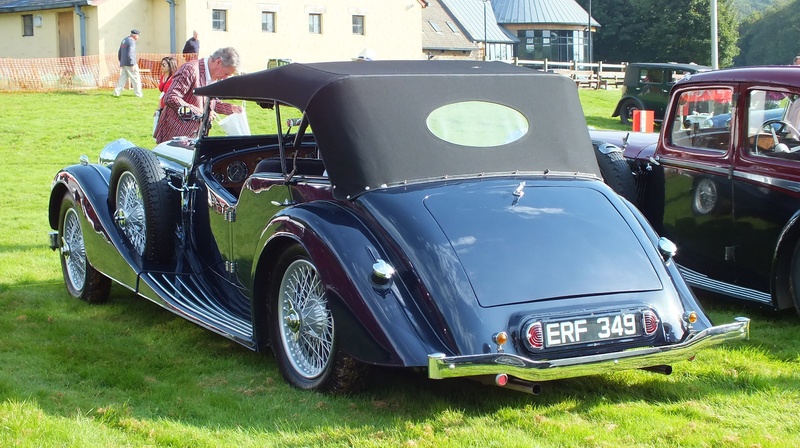 George Butlin was persuaded that his 1938 Alvis Speed 25 Drophead – coupe by Charlesworth, substantially modified during its construction by Hoopers, definitely needed an airing and a good polish. George was left to his frenetic preparations and to finalise the details of his entry ‘By invitation’, direct with the organising committee. 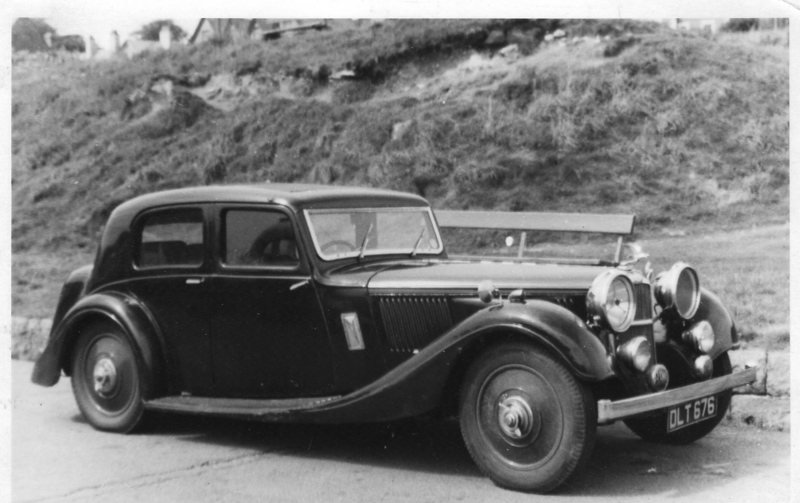 Thankfully, he had prepared a most suitable resume of the car’s history with some fine references to the Hooper connection, its wartime exploits and political canvassing in the post-war years prior to George’s ownership and of course there is no-one better able to describe with passion the intricacies of the Speed 25 model and his own car in particular. George Butlin being presented with the RAC Club Trophy by HRH Prince Michael of Kent behind his magnificent Alvis Speed 25 Charlesworth Drophead-coupe; a day to remember. 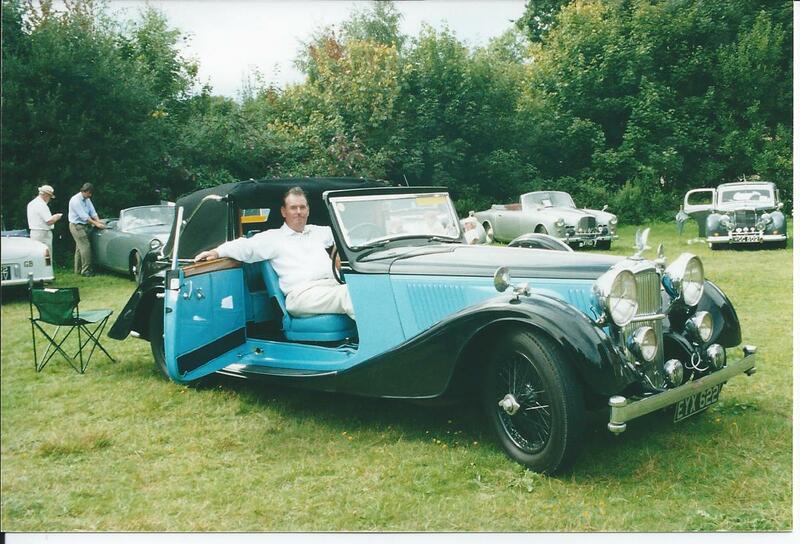 As an Alvis Owner Club nominated entry, George entered alongside a huge array of immaculate and very distinguished marques with equally important historical significance, so it says much for the quality of the restoration and his constant upkeep, that the panel of selected Royal Automobile Club judges decided that his Alvis Speed 25 should be the RAC Club Trophy winner. This huge accolade was followed by presentation of the car in the Rotunda at The RAC Club in Pall Mall. The Speed 25 Register was first published in August 1986 (no.12) and reissued in March 2002 (no.31). The following gallery is sourced mainly from the Ernest Shenton Collection. You can click on any photo to start the gallery and make comments on any photo. Dave Culshaw has researched the number of Speed 25 tourers made. These bodies were numbered in a 30000 series going back to the 1920s and had progressed to a block of 30206 to 30346 used for SA to SD Speed 20s. 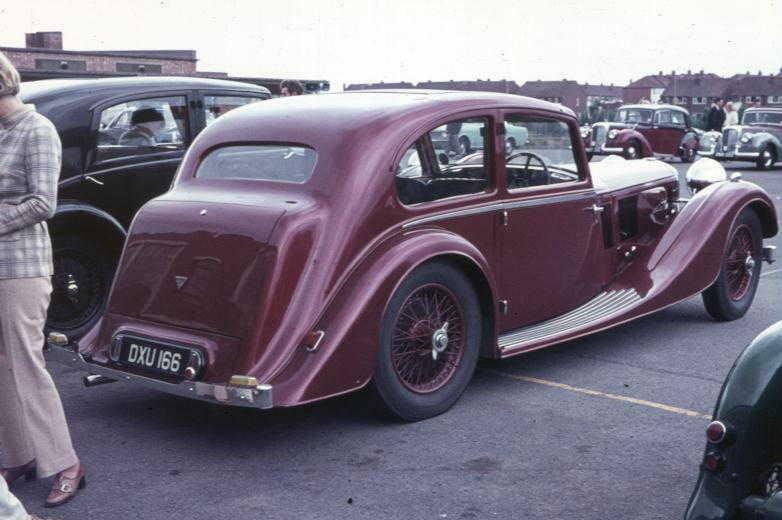 A prototype body was first built numbered AS136 (Alvis Special) on chassis13326. Then followed 31001 to 31039 which were all 25s except for 31034 mounted on a 4.3 litre 14810. Total thus far = 39. At 31039 the Cross & Ellis insolvency occurred when there were still ten or so incomplete frames around the factory. These were taken over by Charlesworth for completion and given Charlesworth numbers 14811 to 14820. 14814 and 14818 cannot be accounted for and would appear to have been destroyed in the blitz on November 14th 1940 but the remaining eight are all accounted for by chassis and registration numbers. Total production was therefore 47 of which 39 were C &E and 8 Charlesworth which are visually identical. 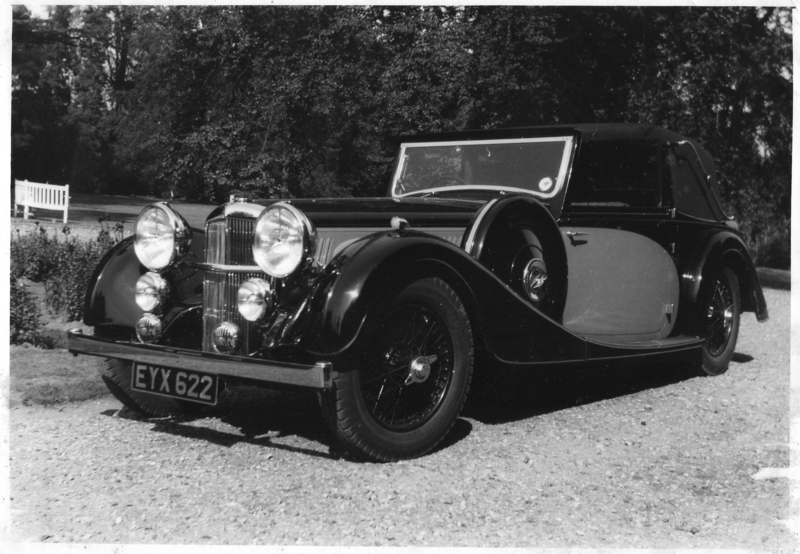 The car below was repatriated to the UK by Brian Classic. This car features a dry sump 4.3 litre engine. Dave Culshaw’s PPS article in Bulletin 443 gives more detail of its history. 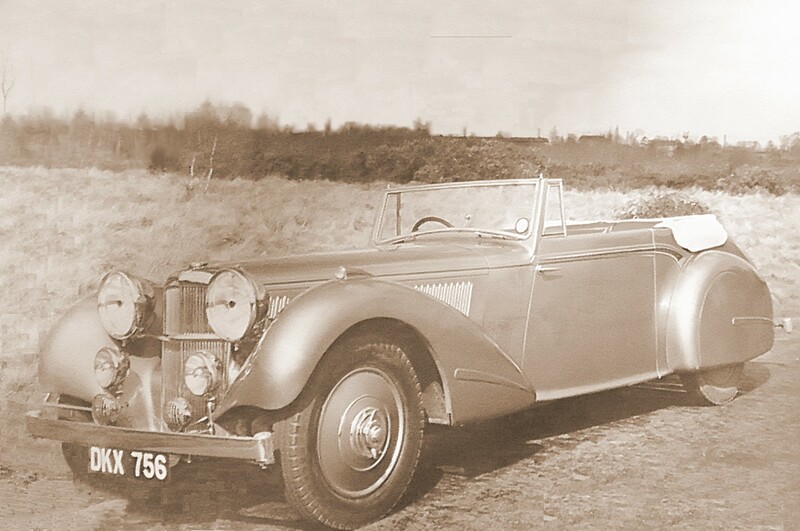 The Bradnum’s Speed 25 tourer ERF 349 featured in Classic Cars magazine recently and researching its history produced enough material for a book. 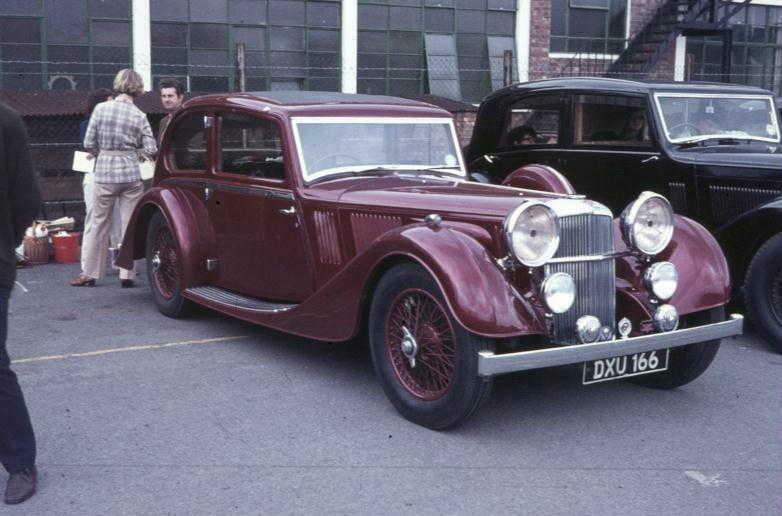 It was originally owned by the 6th Viscount Newport and a request to the Weston Park Foundation for a photo when new produced one not of the Speed 25 but of an earlier car. 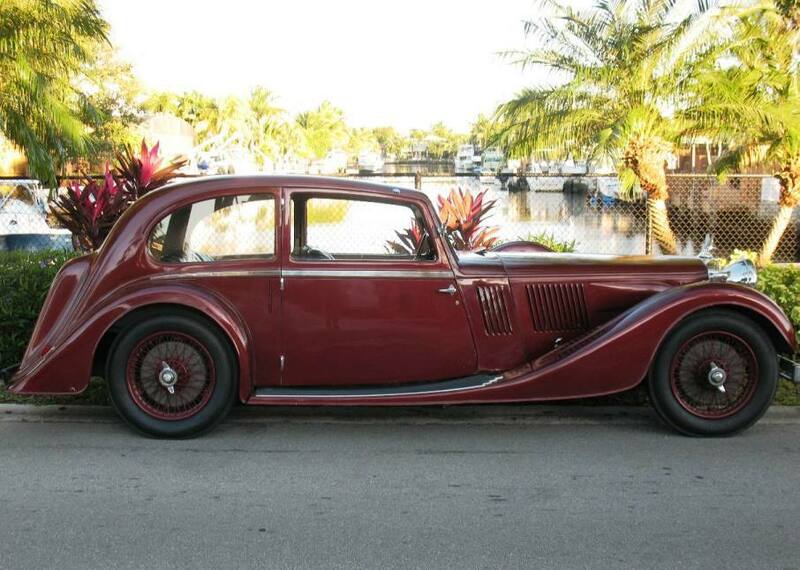 13329 1936 Speed 25 SB Lancefield saloon with an extending boot. All aluminium. I was looking through the archives and saw this picture, and did some quick restoration work on it. It is not meant to replace the un-replaceable original but it might be more useful for a published document. eg “The Bulletin” etc. I have improved photos in the past for my good friend John Lang, who is now the Bulletin Editor . If there are any photos that you like “improved” or clarifed, then I am happy to do it as find it relaxing, much like doing a jigsaw puzzle. Congratulations on your good work; It is great to see that it is being done. Paul Bamford, AOC Member 11479Au. The Charlesworth saloon was the most numerous of the Model. This example has passed through the hands of several AOC officials and resides with Wayne Brooks.